But there is a subtler marker in its streets that tells you Williamsburg is now influenced by Satmar anti-zionist ideology. The neighborhood appears Jewish, yet as far as I was able to see, there are no Jewish stars, the Star of David, anywhere on display. That’s because the Star was adopted by modern Israel in its flag and as a symbol, and those who are anti-zionist came to see it as a symbol of Zionism, not Judaism. 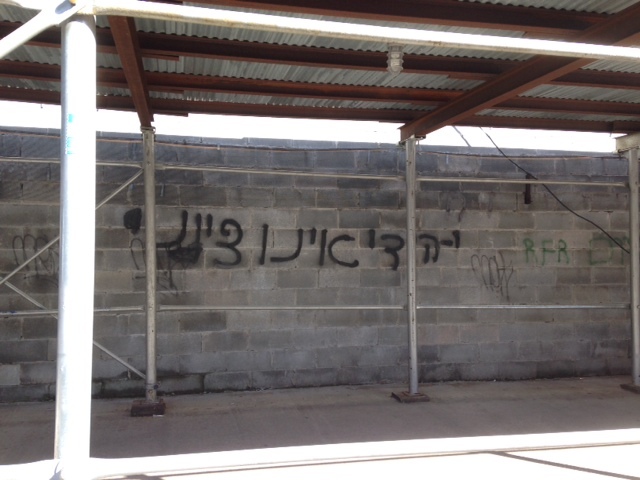 Slowly, the stars disappeared form Williamsburg, even from institutions that aren’t officially anti-zionist. 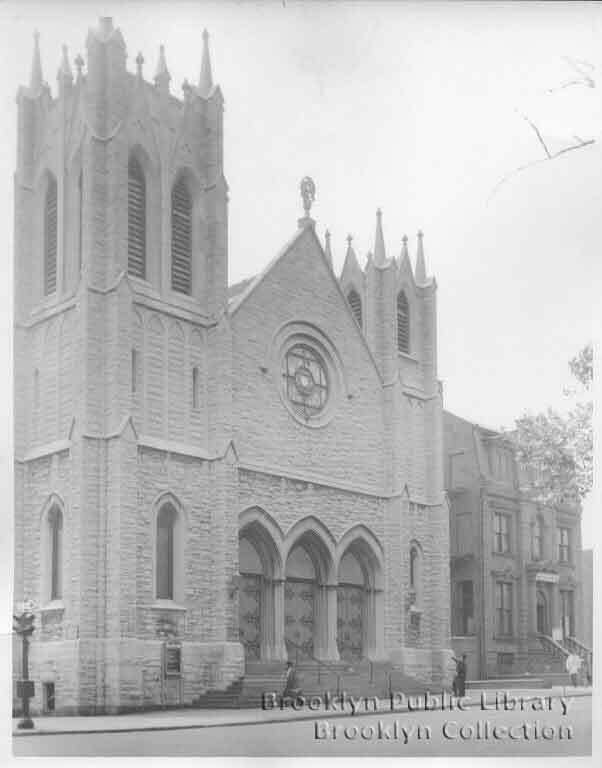 I found many, many old pictures of Williamsburg that have Stars on the buildings, shops and religious institutions. 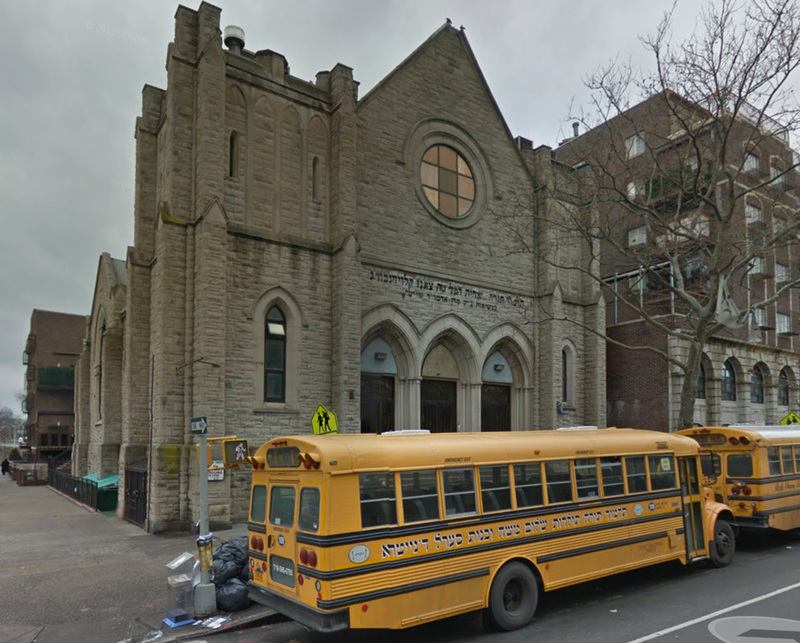 Here’s a synagogue on Bedford Avenue corner Hewes that in 1965 had a Star of David in its glasswork. It is a little hard to see in the old picture, but if you look closely you will see it in the center. Now, it is the Klausenburg sect’s Talmud Torah. The Star of David was removed along with the old glasswork. In today’s Hasidic Williamsburg no pro-Israel celebrations are held, and sometimes spontaneous or organized anti-Israel demonstrations occur.